A youngster gets his bearings at Northstar California Resort during last year’s winter. The resort will up the ante for 2017-18 with the resort’s Platinum Pass, which allows skiers and snowboarders access to exclusive terrain. After a 2016-17 winter for the record books, the Tahoe-Truckee region’s 14 downhill ski areas are gearing up for another winter on the slopes. Here’s a look at some of the new features skiers and snowboarders can expect during the 2017-18 season. After record snowfall and the resort’s latest ever closing date (July 15), Squaw Valley Alpine Meadows is gearing up for a big 2017-18 season. This year, guests can expect upgrades to the resort’s snowmaking, grooming, High Camp and mobile app, in addition to a variety of new events. 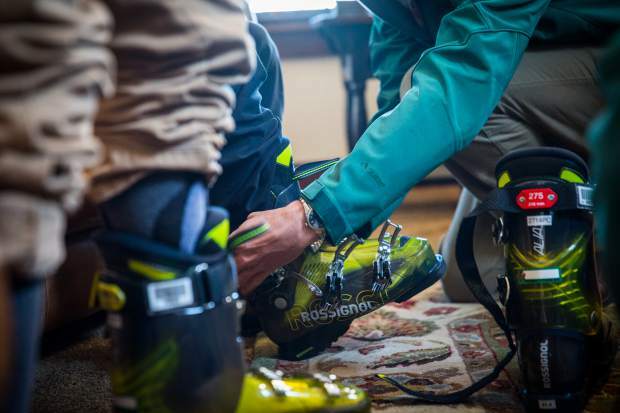 The resort’s signature mid-mountain facility, High Camp, has undergone a major overhaul for the season with new carpeting, updated accents and reconstruction of the Observation Deck. High Camp’s Terrace Restaurant & Bar has been completely renovated with simplified décor and an airy feel to bring the spectacular outdoor surroundings and views into the space. The restaurant is expected to reopen for the 2017 holiday season. High Camp Marketplace will also open this year, and will feature healthy grab-and-go meals, snacks, coffee, wine and beer. The resort’s Poolside Café has been remodeled with rustic décor and has been renamed Granite Bistro. The bistro is scheduled to open by Dec. 20. The Alpine Meadows Lodge will also be renovated this season. Following last year’s season of heavy snowfall, Squaw has added new snow removal machines to increase the expediency of clearing roads and parking lots. The resort has also added new snowmaking hydrants and snowmaking equipment. Squaw Valley Alpine Meadows will also host several new events during the 2017-18 season. Merry Days & Holly Nights will return for its second year, running from Dec. 16-31, with several new family-friendly events. The resort will then get into the Olympic celebration, with Team USA Olympic and Paralympic athletes visiting the resort and meeting with fans on Jan. 13. The resort will also host the NASTAR National Championships as the competition returns to the Sierra for the first time in nearly 40 years. The championships will run from March 21-25, and will attract some of the most talented skiers in the nation. Boasting Lake Tahoe’s only five-star, slopeside lodging, Northstar California Resort marries its 3,170 skiable acres with a sophisticated village atmosphere to bring guests a unique experience. Northstar features 100 trails accessible by 20 lifts, and for those not interested in hitting the slopes, the resort offers shopping, dining and a multitude of other activities. 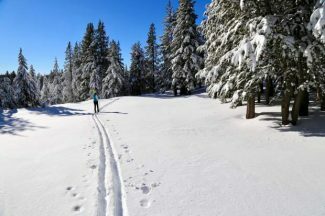 New this year, Northstar California has expanded its Platinum program to include Platinum Terrain, an exclusive trail for Platinum Season Pass or Day Pass holders. The Platinum Terrain will give skiers and snowboarders access to an exclusive run over untouched corduroy, or fresh powder on snow days. Platinum Pass holders also get to skip the lift line with their own private gate at the front of each lift line. 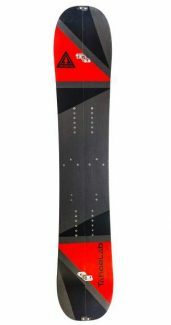 Northstar will also provide another way for skiers and snowboarders to get on untouched groomers and powder with the new First Tracks program. Adventure Guiding and Learning Center mountain guides will take small groups on a tour of the mountain before lifts open to the public, giving private access to freshly groomed runs and pristine powder. When off the slopes, guests of Northstar can enjoy the resort village and its shops, ice skating rink, and restaurants. This season, Yamakai Fish and Sushi Co. will become the resort’s newest addition, bringing an extensive wine menu to Lake Tahoe, along with a fusion of Hawaiian and Japanese culinary. 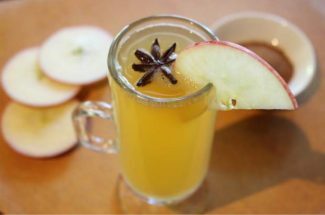 As always, a day at resort is capped off with a “töst” to the mountain, where skiers and snowboarders gather off of East Ridge Run for a complimentary glass of champagne or sparkling cider. With stunning views of Lake Tahoe, Heavenly Mountain Resort offers one of the most unique skiing experiences in the world. The resort is the only in the country to span two states. It offers 97 trails accessible by 28 chairlifts, and boasts 4,800 skiable acres. New in 2017-18, Heavenly will light up the night for the first time ever as the resort introduces night skiing. The World Cup Chair will begin operating into the night starting on Dec. 18, allowing skiers and snowboarders to ride under the stars. Music, food and drinks will also be available. The party won’t be limited to the nighttime at Heavenly this year. The resort will serve up food and drink specials, along with music, at different locations every Monday-Thursday beginning in January, with the new on-mountain “mobile après spot.” Guests can also quench their thirst every day under the Tamarack Chair between 3:30 p.m. and 4:30 p.m., with free samples of local craft brews. After spending the day on the slopes, Heavenly guests also can enjoy happy hour and live music at the resort’s new Cal Roof-Top Bar. Early on this season, Heavenly will roll out its Winter Ignite celebration from Dec. 2-10, which will include live music and parties near DJ Cat — the resort’s custom-built, movable DJ station — with the event capped off on Dec. 10 with a free concert in Heavenly Village. From there, the resort will transform during the holiday season with lights, decorations, music, ice sculpting and more. Springtime at Heavenly this year will bring more events with Pink Heavenly — a two-day cancer awareness event — the resort’s 13th annual Gunbarrel 25 endurance race, a night-terrain park and more. Kirkwood, which is roughly an hour drive south from South Lake Tahoe, offers 2,300 acres terrain to play on and 15 lifts to access it all. 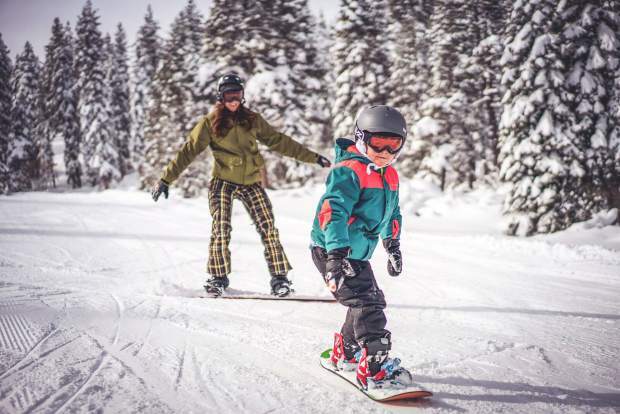 This winter, the resort will introduce the Red Cliffs Family Lodge, allowing families to continue the fun into the night after a day spent on Kirkwood’s 86 trails. The lodge will be host to themed events, trivia nights and other game nights throughout the season. When it comes riding the mountain, Expedition: Kirkwood is the best place for advanced skiers to take their skills to the next level. Billed as the master’s degree program of ski schools, the resort’s expert coaches and guides will show skiers how to tackle the resort’s signature chutes, cornices and bowls, while getting lessons in safety and avalanche education. For a girls’ day on the mountain, Kirkwood offers a Ladies Only package with various camps and clinics for all ages and abilities. Kirkwood will also attract some of the top up-and-coming skiers this season when the resort plays host to the International Freeskiers & Snowboarders Association (IFSA) Tahoe Junior Freeriede Series this winter, in which more than 180 skiers will take to the mountain. The Tahoe Donner Downhill Ski Area is one of the best places in the area for beginning and novice riders. The ski area boast 17 runs, three terrain parks and 120 skiable acres. This year guests can enjoy a completely renovated outdoor sundeck at the resort, while trail work, ground improvements and advanced snowmaking equipment should allow for the area to begin lift operations sooner than usual. Trail maintenance also has opened additional tree skiing of Eagle Ridge Trail on the resort’s backside. Tahoe Donner will get into the holiday season with a Christmas day celebration and a New Year’s Eve Light Parade. The ski area will also host the annual I-Did-A-Run dog pull race on March 11, and also the Banana Split Extravanza on March 17, where guests can help devour a 200-foot banana split for free. Homewood Mountain Resorts sits on Lake Tahoe’s West Shore, and with its unobstructed views of the lake, it has been one of the area’s top resorts since opening in 1959. Homewood offers 1,260 acres of skiable terrain and 64 different runs, taking skiers and snowboarders to hidden powder stashes and five terrain parks. This season, Homewood will continue its environmental push with the addition of the latest snow groomer model from PistenBully, which offers improved grooming functionality and achieves Environmental Protection Agency’s strictest level of emission control for off-highway diesel engines. Also this year, the resort will team with West Shore Café to participate in the Tahoe Fund’s Green Bucks program. Guests will have the option of adding a $1 donation to the purchase of their lift ticket or restaurant bill. 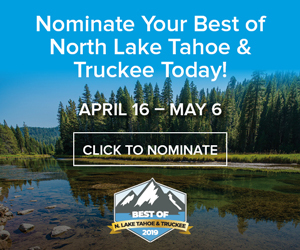 Proceeds from the program support the Tahoe Fund and the Truckee River Watershed Council in their mission to improve conservation in the area. 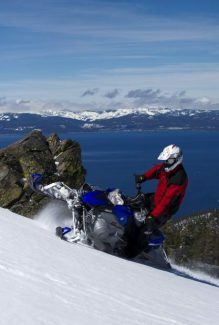 One of the area’s most legendary ski areas can be found on the West Shore in Tahoe City: Granlibakken Tahoe. The small mountain will celebrate its 95th anniversary this year, returning to offer skiers and snowboarders an intimate setting, perfect for beginner and intermediate riders. For its 95th anniversary, Granlibakken will have lodging specials, prize giveaways and an opening-day party at the ski and sled hill. On Dec. 24, Granlibakken will take guests to 1932, harkening back to its bid to host the Winter Olympics with a torchlight parade. Skiers and snowboarders will take to the hill with a torch in hand, before enjoying food and drinks, and a visit from Santa Claus. Skiing tickets will also be valid for sledding the season, and the resort will again offer half-priced skiing and sledding passes to guests staying at Granlibakken.